A wide selection of high-quality Japanese accessories from all across Japan. 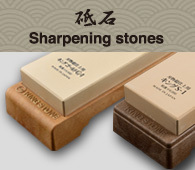 From stainless steel to traditional blades, from sharpening stones to truly exceptional pieces. We offer you the best in Japanese cutlery. How should you care for your Japanese knife? What is recommended? This part contains answers to your questions on this topic. How does one sharpen a knife correctly? Use our advice on how to keep your blades razor sharp. Personalize your knife with an engraving of your choice or with a different elegant, distinguished handle. Partner site specializing in the sale and promotion of Japanese tea. 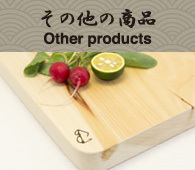 Visit it to discover accessories and flavours from all around Japan.